It's that time of year again when flocks of nervous 17 and 18 year olds open up an envelope that will define the next 3 years of their life. I am of course talking about A-Level results. I'm glad to say that many of my friends managed to get the results they needed and come september they will be dispursing throughout the country to a variety of different universities. For me university never seemed like it would be a great fit and from my newly furnished office, I declined my place at Nottingham Trent two weeks before results day last year. I have always seen university as much more than just a place you go to learn. It's about having a great social life, finding yourself, meeting new people and meeting people who will inspire you to do great things. When I gave up my place I knew that some of these things would be harder to find but I knew they were achievable. In my case some of the most inspirational people in my life at the moment are people that I have never met and probably never will. However technology and the internet has enabled these people to become a lot more visible to a wider audience. Through websites such as YouTube I have been able to watch talks given by these people, blogs have given me the ability to read their written material and ideals and the transparency of many of the companies they work for (or own) has shown me the great things that these people achieve every single day. So here is a list of just a few of the people that have had an impact on my life in the last year and that have inspired me to try new things and follow my dreams. 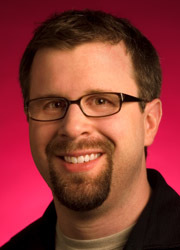 Brian Fitzpatrick is an Engineering Manager at Google Chicago and is probably the person that has inspired me the most. After watching the talk he did with Ben Collins-Sussman at Google I/O a few years ago I was inspired to get involved in Open-Source software. Something that is now a major part of my work and personal life. The work that Brian and the Data Liberation Front team have done to open up the data that you store on Google has totaly changed the way that I think when building products. 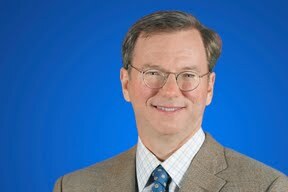 Eric Schmidt is executive chairman at Google. I've watched many of Eric's talks on youtube and he is probably one of the best speakers I have ever seen. The passion and vision that he has for the future of the internet and technology as a whole is truly inspirational. His focus on making the world a better place for everyone and putting the user's interests above the company's profits has showed me that you don't have to be ruthless to be successful. I really hope that Eric's vision of a more open world comes to fruition as the years pass by as I think that it is the best way of ensuring that our future is fair and prosperous. 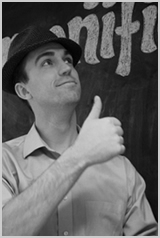 Ryan Carson is the co-founder of Carsonified. He has a technical background but is also a very successful businessman. Ryan has a pretty unique approach to business, for example carsonified employees only work a four day week and yet they still manage to produce incredible products and events. This says a lot about the culture of the company that Ryan and his wife have built up. I think that Ryan inspires me so much because he is the person that I can relate to the most, even in my very short life as a programmer and businessman. He successfully made the switch from a service based business to a product based one, a challenge that I am currently just starting to tackle. By reading the articles that he has written and listening to the think vitamin podcast I am starting to understand the 'secret recipe' to successfully making this transition. Tony Hsieh is the CEO of Zappos. I recently read Tony's book 'Delivering Happiness' (if you haven't aleady, give it a read) and it really opened my eyes to a lot of things. One of the main things that impresses me so much about Tony is his dedication to the Zappos culture and how he focusses so much on ensuring that all of the Zappos employees are happy in their lives. After releasing his book Tony set-up the Delivering Happiness movement which aims to inspire people and help them become happier in their lives. This is one of the main reasons that Tony inspires me. He was not content on just making sure that his employees were happy but he geniunely wants to change the world to make it a better place. I've been meaning to write this post for a long time as I wanted to spread the word about these people in the hope that they might inspire more people to pursue their dreams and do really great things. I will probably never meet any of the people I've mentioned in this post and that's fine because with technology how it is today you no longer have to meet someone to hear their messge. I very much doubt that any of these people will ever read this post but just in case they do find a spare 5 minutes I would like to say thank you for inspiring me to be a better person and to always aim high.